Chia seeds are amongst the world's most ancient superfoods, having been cultivated by the Aztecs and thought to be used since roughly 3500 BC. The Aztecs called it "Running Food" because it was famous for instilling people with energy, giving endurance for the warriors' physical activities. 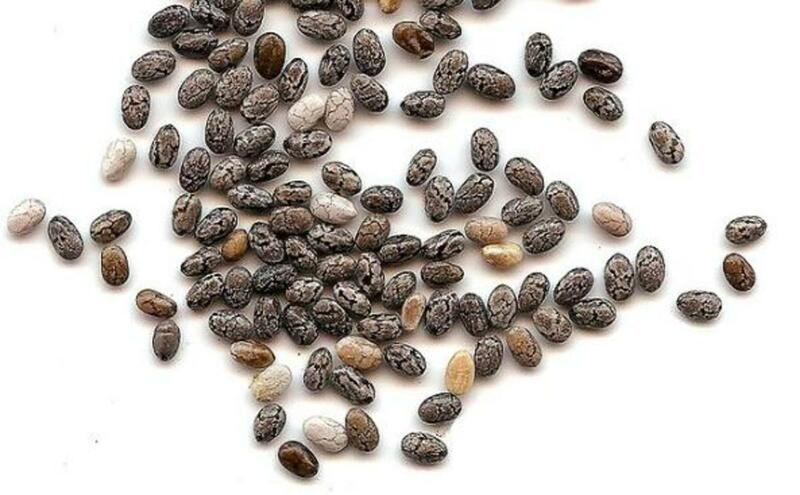 The seeds themselves are small, and come in two main varieties of color: black and white. In spite of people saying there are differences in the health benefits from these two types of chia seeds, research points to the fact that any nutritional differences between them are quite small, and more dependent on the soil in which the plant was grown than the seed color. Having said that, some say that the white seeds (also known as Salba) contain slightly more protein than the black seeds, whilst the black seeds have a tad more fiber content. The chia seeds come from a plant which is from the mint or Lamiaceae family, and although there are several varieties of chia seed plants, the most common one that is sold commercially is Salvia hispanica, which is depicted in the photo above. Ok, so they're one of the most ancient superfoods, but did they *really* give Aztec warriors more energy and endurance? Do they have any other benefits? What's so great about chia seeds? Let's answer these questions by having a look at the nutritional content of chia seeds, and how this relates to their benefits. A lot of us know that flax seeds (aka linseeds) and salmon are great sources of omega 3, but not many know that chia seeds are an extremely rich source of omega 3 too. In fact 19-25% of a chia seed's composition by weight, is alpha-linolenic acid, an important omega 3 fatty acid. It's important because we can't make it ourselves, and it is therefore essential. For comparison's sake, flax seeds contain around 23% omega 3, so chia seeds are more or less equal to flax seeds in terms of omega 3 benefits. Omega 3 is perhaps most famous for being a brilliant brain food. It nourishes the brain for all of us, and helps alleviate a wide array of neurological conditions including depression, Alzheimer's disease, autism and Epilepsy. It helps keep our body moistened, for example, keeping eyes and skin from getting dry. In fact omega 3 is wonderful for skin health. It also keeps the lungs well-moistened in asthma sufferers, and keeps joints well oiled. It keeps our cells healthy by building their membranes. 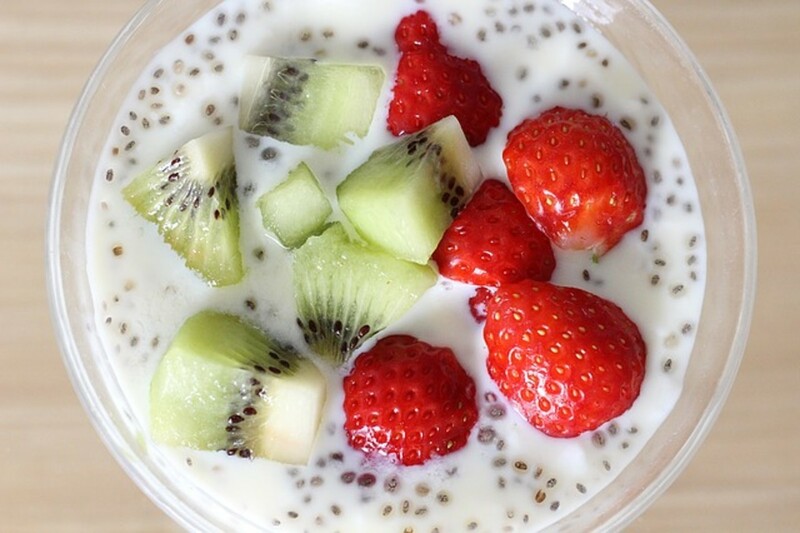 Soluble fibre is what makes chia seeds form a gel-like consistency when they're put in water for a couple of minutes. This gel that forms is a type mucilage. What's so great about their containing soluble fibre? 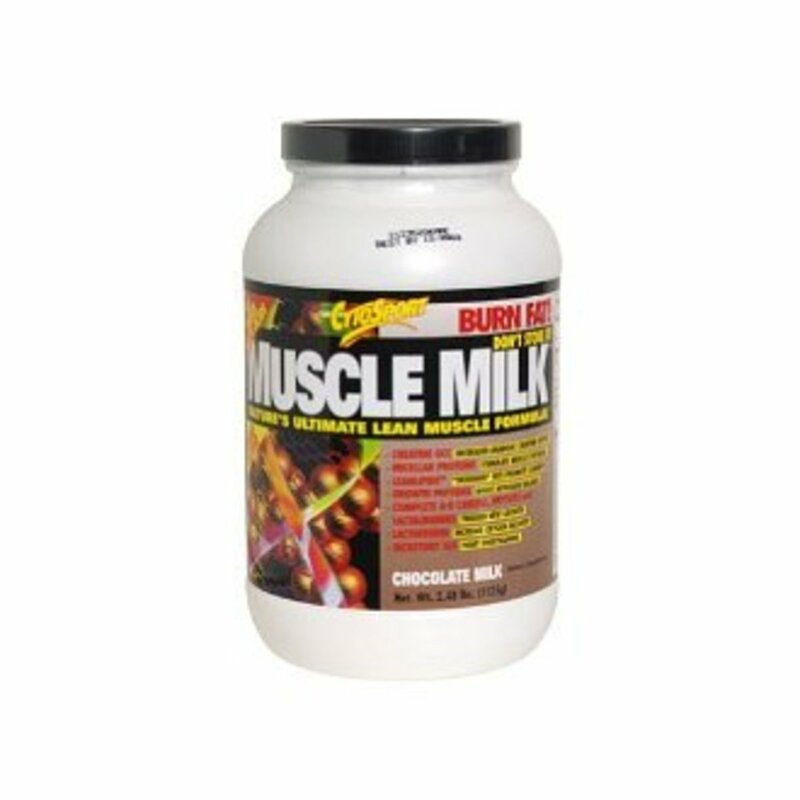 It helps slow down the release of sugar into our blood, so is great for diabetics and people with insulin sensitivity. In addition to soluble fibre, chia seeds also contain a good dose of alpha lipoic acid which further helps balance blood sugar levels. (2) (3) The result of the sugar balancing effects is that you have a sustained sugar flow that keeps your energy high for longer, which fits in with the Aztec's use of chia seeds as a Running Food. 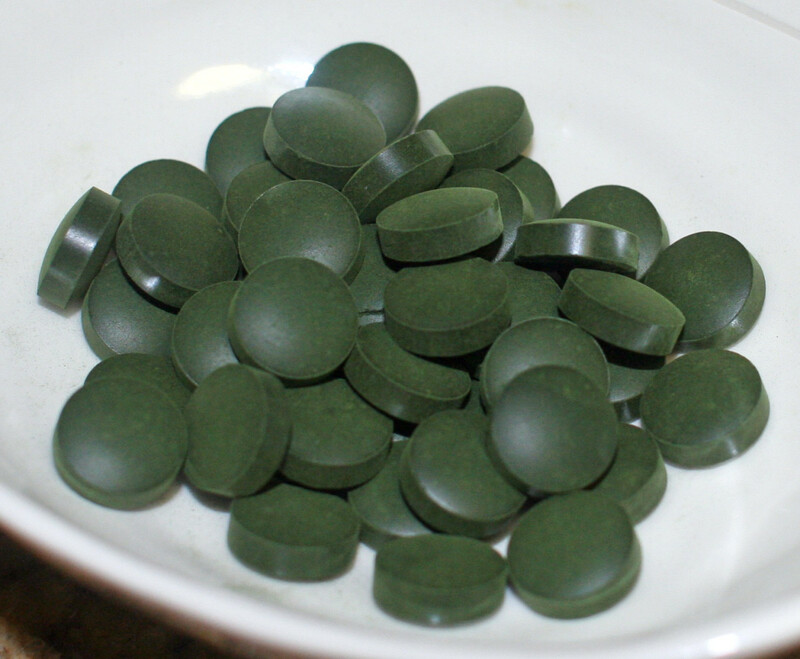 It binds to cholesterol, helping to eliminate it from the body and lower cholesterol levels. The fact that soluble fiber is so water-loving (hydrophilic) also means that it plays an important role in hydration of the body. About 20-23% of a chia seed is protein, which makes it a rich protein source, comparable to nuts and other seeds and only a little lower in protein content than meat. 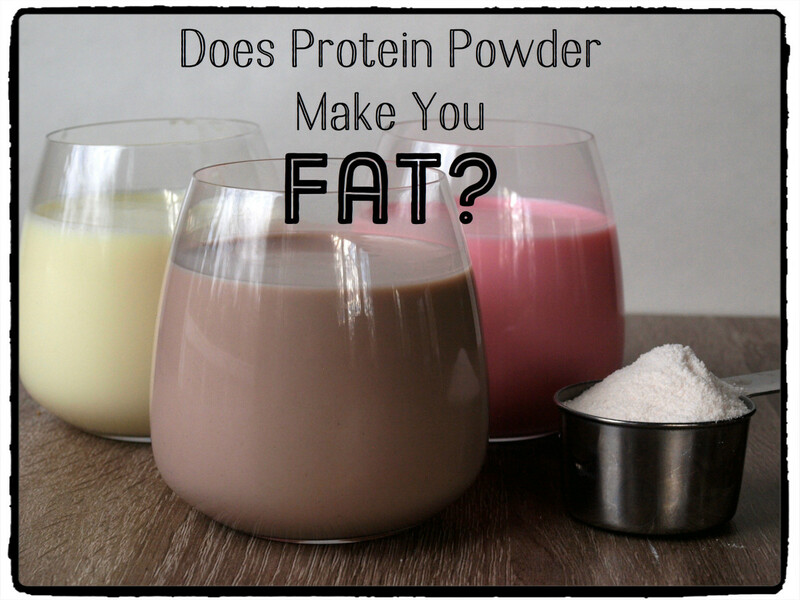 This makes it great for vegetarians, particularly since it's a complete protein, meaning it contains all the essential amino acids you need for good health. 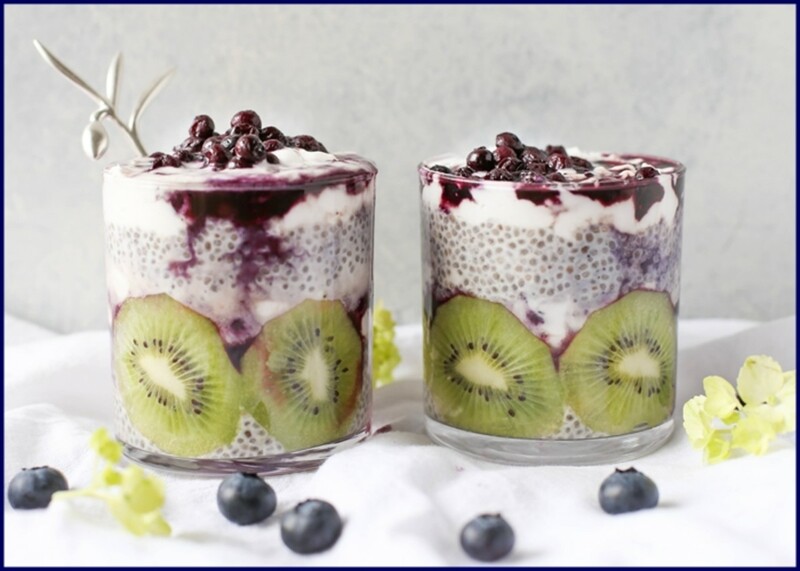 The protein content in chia seeds is great for general protein functions in the body including building our tissues, muscles, skin and hair, repairing cells, and making proteinaceous hormones. Protein also helps slow down sugar release, so that you have a sustained sugar flow that keeps your energy high for longer, which fits in with the Aztec's use of chia seeds as a Running Food. Chia seeds contain a really high amount of antioxidants, and on the ORAC scale which measures just how rich in antioxidants it is, it ranks around 825 (4), which is equivalent to the antioxidant content of broccoli, oranges and grapes. The antioxidants in chia seeds are polyphenols, named Myricetin, Quercetin and Kaempferol, and the reason why these help to make chia seed a superfood is because they fight against the bad guys in the body, free radicals, which can cause cancer, inflammation and cell damage. They generally help the body detoxify itself from negative influences, leaving you with more energy to live life as less energy is diverted to damage-control. I say "nice" because I suspect people may be over-estimating the amount of minerals chia seeds contain. Yes, if you eat heaps of it, it will give you a lot of minerals, but the average daily dose of chia seeds per person is about a tablespoonful, and in these doses I don't think that it really provides us with therapeutic levels of minerals. Still, chia seeds do contain calcium, phosphorus, boron, magnesium, iron, potassium, zinc, copper and manganese. Perhaps the only mineral that's really significantly high in chia seeds is calcium, at around 700mg per 100g, which still is only around 105mg per a 15g tablespoon, where the optimal daily allowance for calcium is around 1000mg a day. Magnesium is also a healthy amount of around 466mg per 100g, which would give around 70mg per 15g tablespoon, whereas therapeutic dosage would be around 400-700mg. In addition, in spite of some sources saying that chia seeds are rich in B vitamins and vitamin C, I have been unable to locate evidence to back this up. Feel free to comment below if you are aware of a source that corroborates this. Is it all sounding too good to be true? Well let's have a look at the flip side: Are there any side effects from eating chia seeds? Bloating: As with all soluble fiber, including flax seeds, chia seeds may cause bloating. This is because fiber, by definition is not digestible by us, but is passed to our gut, where gut bacteria feast on it. As they eat it, they excrete gases which make us bloat. If you have a healthy gut flora, then chances of bloating are reduced. Some people are more sensitive to bloating than others. Another possible reason for bloating from chia seeds is that if you don't wash them down with enough water, they can actually cause constipation, rather than relieve it. So it's really important to drink your 8 glasses of water a day if you're having chia seeds or flax seeds. Lowers Blood Pressure further in hypotensives: If you've already got low blood pressure, some people say it's risky to take something which can lower blood pressure further. I think it all depends on just how low your blood pressure is, to decide if it's a risk to lower it further. If your blood pressure is low-to-normal, I would suspect there is little risk. More care needs to be taken if your blood pressure is well below normal range. I would also imagine this applies to all food sources containing high omega 3 content including flax seeds and fish oil. Thins the blood further in people on blood-thinning medications: The omega-3 content means that chia seeds do thin the blood, contributing to its heart-health benefits. 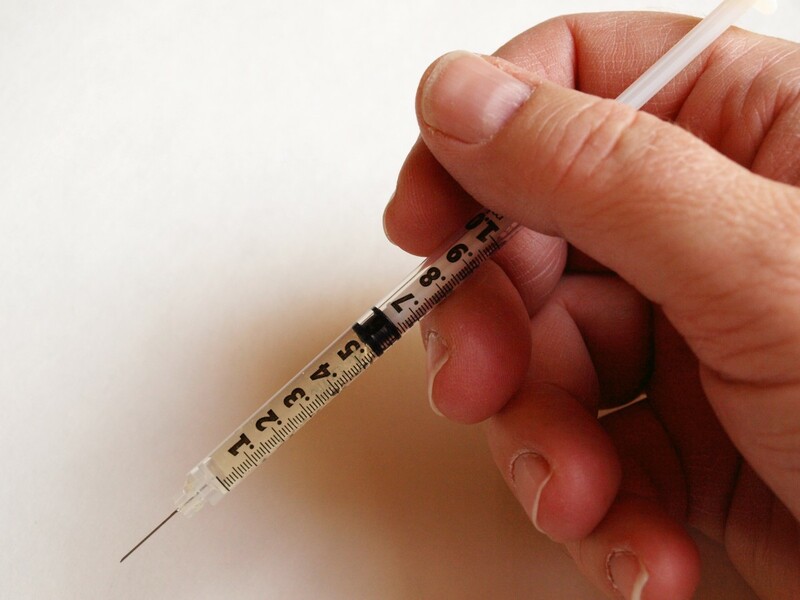 It may have an additive effect however with blood-thinning medications a person may be on already. 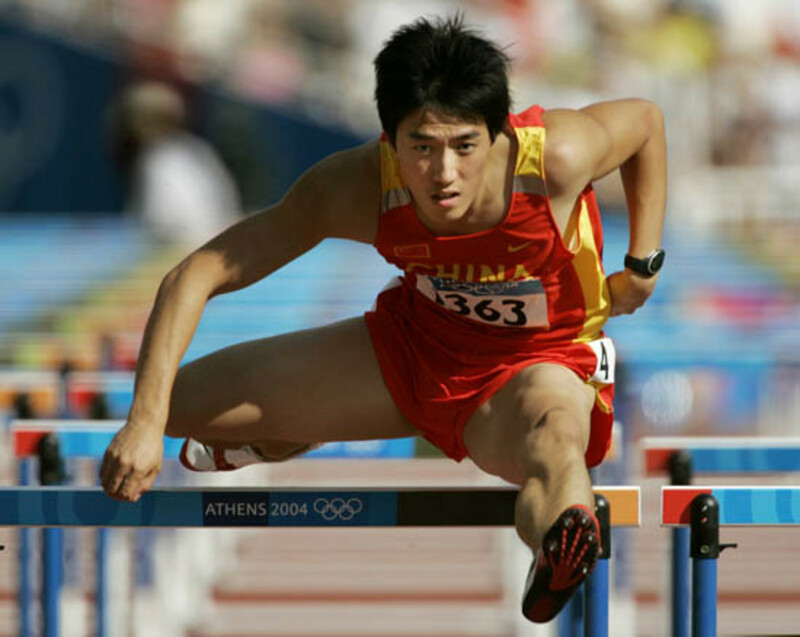 Whether this is dangerous, I don't know and I'd advise you to check with your health practitioner. Again, this would apply for flax seeds and fish oil too. Increased risk of prostate cancer? One study conducted in The Netherlands’ Wageningen Centre for Food Sciences in 2004 found that chia seeds may increase the risk of prostate cancer in men. More studies need to be done on this to know if it was an anomalous study or not. So should I eat them? I would say that people with very low blood pressure and on blood-thinning medications should proceed with caution, however for the rest of us, my opinion is that the benefits of chia seeds outweigh the negative factors. The decision regarding your opinion, of course, is yours. :) Feel free to share it in the comments below. (3.) Chicco AG, D'Alessandro ME, Hein GJ, et al. Dietary chia seed (Salvia hispanica L.) rich in alpha-linolenic acid improves adiposity and normalises hypertriacylglycerolaemia and insulin resistance in dyslipaemic rats. Br J Nutr. Jan 2009;101(1):41-50. How about taking chia seeds while having high uric acid? How about with uric acid is it okay to eat chia seeds? i got serve migraine after taking the Chia seeds- is this common? My doctor recently suggested that I use the Chia seeds to lower my cholesterol. Nothing I've tried so far has worked so maybe this will. Fingers crossed. Please tell me the name in hindi or marathi. I am confused with tulsi seed/sabja. Great article, have learnt a few things here. I've recently read that Chia Seeds cause inflammation and may also increase the risk of Leaky Gut. Also there may be agents in Chia that bind a lot of the good stuff in the seeds which in turn causes the body to not absorb the nutrients. I'm still eating my Chia but I've greatly decreased my usage until more definitive research is available. I was using Chai Seed couple of teaspoons a day but my Doctor has said there is no scientific proof that it works. I am just stinking to a healthy diet instead. Chia seeds have literally turned my grey/white hair and beard to 50% black hair. This is not fiction. Great hub! I like to put chia seeds in my smoothies. You should check out my smoothie recipe! Voted up and useful! thank you so much for sharing such a great info about chia seed. Great information to add to my diet library. I love chia seeds. 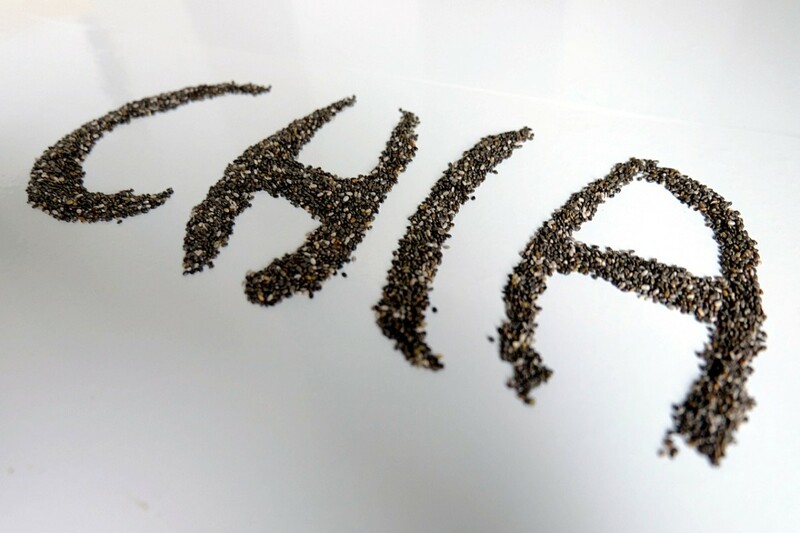 You've written a great summary of chia seed benefits. Thanks for the information. I never knew chia seeds had so many benefits, thanks for sharing. Great article.Very informative and love the style. Thank you!